A strong Moray team with 4 members having a plus handicap and the highest 0.6, deservedly won the 62nd playing of the League for the GR Thomson Shield. 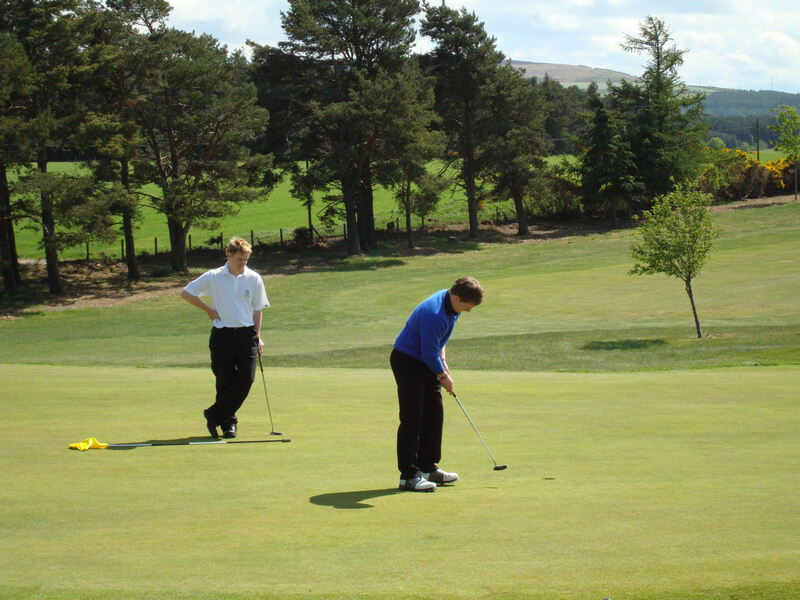 In their opening match they overcame Nairn Dunbar by 6 matches to 2, before taking on the holders. 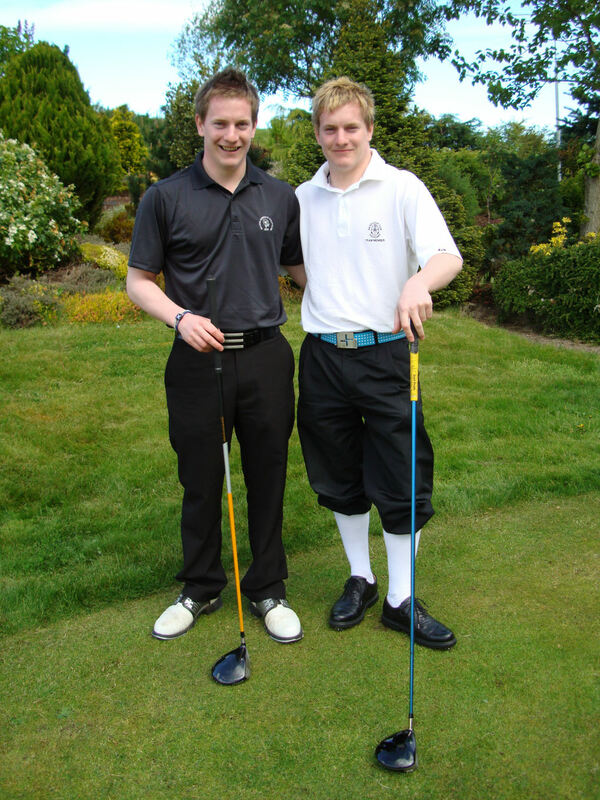 Nairn Golf Club, who were endeavouring to win the Shield for a fourth year in a row. A similar scoreline was achieved before they went on to keep their 100% record with wins over Elgin and Forres. Best individual performance came from Kyle Godsman (Moray) who won all four of his matches. Kyle later this year will be heading off for a golf scholarship in South Carolina. Also undefeated were George Asher and Steven MacDonald (both Nairn) with 3½ points out of four, whilst Tommy Dingwall (Nairn Dunbar) had 2½ out of three matches played. .
An interesting "first" for the League was when twin brothers Michael and Neil Howitt were drawn to play each other at the top of the order for their respective clubs, Nairn Dunbar and Nairn . Michael was faced with a tricky three foot putt on the 18th green which he holed. The result: a halved match! Also this year's League saw a very welcome appearance by Bryce Milne still a Category 1 golfer, 50 years after he made his debut in the League on 4th July 1959 playing for Elgin against Moray at Lossiemouth as a nineteen year old teenager.